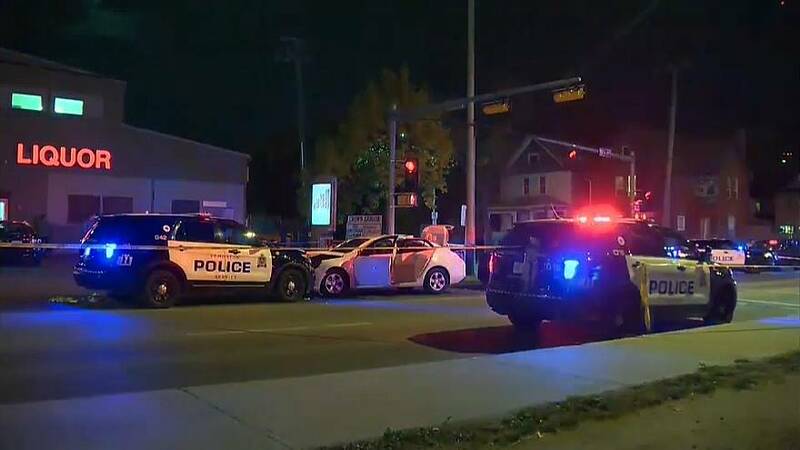 Five people have been injured after being run down by vehicles in the western Canadian city of Edmonton, Alberta, in what police are investigating as “acts of terrorism”. Police said on Sunday morning they had one suspect in custody and believed he acted alone, although they did not rule out that others may have been involved. The incidents started outside a Canadian Football League game on Saturday night (Sept. 30), when a white car smashed a traffic control barricade and sent an officer flying into the air. An Islamic State group flag was found inside the vehicle. Police say the driver then got out and stabbed the officer before fleeing on foot. The officer was taken to a hospital and treated for non-life threatening injuries while a manhunt was launched. The suspect, believed to be around 30 years old, was arrested several hours later after driving a van into at least four pedestrians. The extent of the injuries of the pedestrians hit by the van was not immediately known.